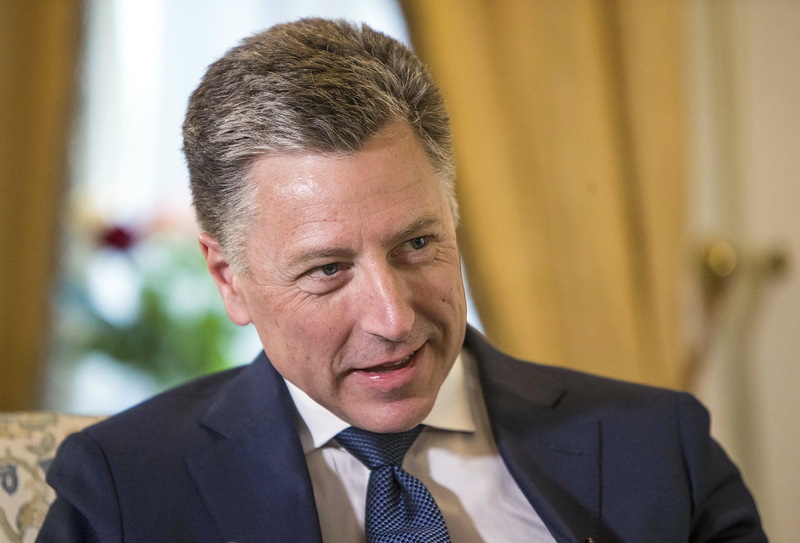 The meeting of the US Special Representative for Ukraine Kurt Volker with the representative of Russia will be held on Monday, August 21 in Minsk, in a format closed for the press. 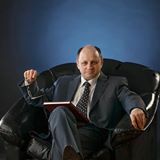 This information was provided to journalists by the press secretary of the Belarusian Foreign Ministry Dmitry Mironchik. On the agenda of the meeting, the US State Department said very laconically: it is planned to discuss Russian-Ukrainian relations. The State Department’s statement, in my opinion, is evidence of a gradually changing approach to Ukrainian affairs. Earlier, I already wrote that the meeting between Putin and Trump in Hamburg and the events that followed (including the appointment of Kurt Volker to the post of the US Special Representative for Ukraine) would lead to a noticeable toughening of the White House’s position towards the Kremlin in Ukrainian affairs. Previously, the US publicly distanced itself from open participation in the Donbass conflict, although this participation is a secret of the political establishment. Now the US has assumed the duty (more precisely, the right) to speak on behalf of Ukraine. This formally transfers the US from a number of outside observers and intermediaries to the category of the involved party. Prior to that, the US preferred to emphasize its neutral status, accusing Russia of involvement in the conflict. 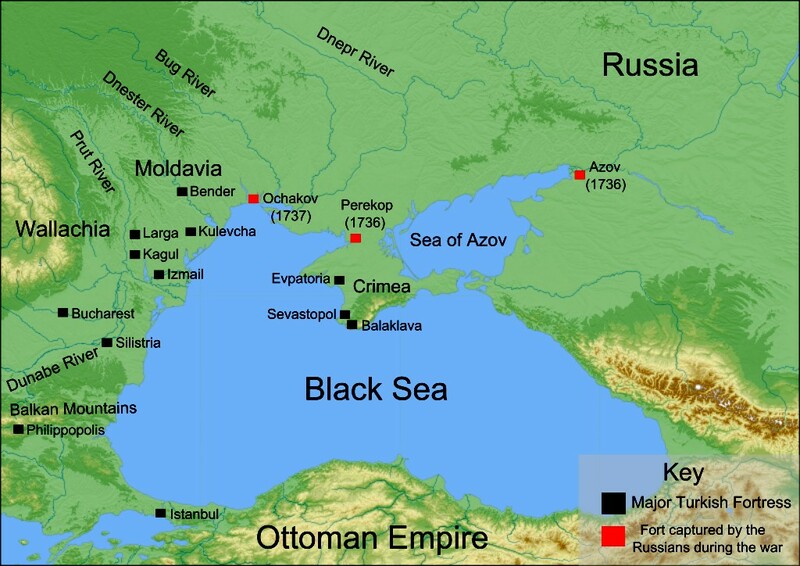 Thus, along with the Baltic countries, located near the northern capital of Russia in St. Petersburg, the US and NATO military bases may be in critical proximity to the Russian Crimea and Rostov-on-Don (the informal capital of the south of Russia). The issue of time will be the organization of a coup in Moldova and the displacement of President Dodon, a supporter of the country’s independence. The annexation of Moldova by a member of the Alliance, Romania, will allow the deployment of NATO troops on its territory. In parallel, work is being carried out to involve the Georgian Alliance and create an anti-Russian axis of the Transcaucasian states. Let’s leave aside, however, this southern flank. NATO plans to create its own military bases along the perimeter of Russia’s western borders are hampered by the presence of Russian peacekeepers in the Transniestrian Moldavian Republic (Transnistria) located there under the Russian-Moldovan agreement of 1992. And also the independence of the people’s republics of Donbass. Therefore, it is not difficult to assume that every effort will be made to extrude the Russian peacekeepers from the TMR. More precisely, this operation has already begun: Moldova (the government and the parliament are controlled by anti-Russian supporters of the Romanian annexation) together with Ukraine have been blockading Transnistria for several months, banning the supply of a peacekeeping group and hindering trade and humanitarian contacts. Russia is forced to withdraw peacekeepers who are in TMR legally, or to unleash an armed conflict. Both are undesirable for Russia. United States Special Representative for Ukraine Negotiations Kurt Volker, Kiev, July 24, 2017. It can be assumed that at the forthcoming meeting of Volker with Surkov of Russia, an ultimatum will be voiced: to refuse support of the People’s Democratic Republic of Dontesk and the People’s Republic of Lugansk. In fact, Russia is being offered to surrender. This is a logical step after Congress passed and the US president signed the law on “sanctions-2” and launched an aggressive strategy against Russia. Of course, the details are unknown, but the fact that the conversation will be held around the main topic: Russia’s refusal to support the Donbass, no doubt. In parallel, Ukraine is preparing for a “liberation campaign” of the Donbass. In Kiev, with lust and high expectations, they are waiting the beginning of deliveries of American lethal weapons, especially the anti-tank complexes “Javelin”. The preparation of a new big offensive last week was announced not only in Kiev (at the level of middle-level commanders and individual political scientists and TV presenters), but also in Donetsk. Ukrainians expect to repeat the success of the Croatian operation to defeat the Serbian Krajina and fear intervention by Russia. The preparation of Ukraine for a blitzkrieg in Donbass, was nnounced by the head of the DPR, Alexander Zakharchenko. In Minsk, Russia will probably be offered “compensation” – a promise in payment for refusing support of Donbass. And the option to save face. The situation is critical, and not only for the republics of Donbass and Russia. If Russia does not accept the US ultimatum, this threatens peace and stability in Ukraine itself and, at least, in Eastern Europe, which will also experience the consequences of the war – as territories bordering Ukraine or as potential participants in a military conflict. Rex Tillerson’s appointment of Volker as special representative for Ukraine reveals the Secretary of State’s ignorant and extremely dangerous bias against Russia, as reflected in Volker’s links to deep state neoconservative entities such as the CIA, George Bush, and John McCain. There can be no doubt at this point that President Donald J. Trump has fully abandoned his campaign promise to seek friendship with Russia. Trump is emerging as a Russophobe far more hawkish than his predecessor, though Hillary Clinton would have been worse. The US President is clearly a traitor in giving Tillerson a free hand in Ukraine. We also have a problem with Volker’s planned meeting with Vladislav Surkov, a Kremlin official who has repeatedly betrayed Donbass. The Donetsk and Lugansk People’s Republics will now face escalated political hostility from Ukraine, the EU, the United States, and even Russia itself. It is unlikely, given Putin’s past betrayals of Donbass, that the Russian president will stand up to diplomatically defend the two Novorossiya Republics. Our hope, and our faith, is that DPR President Alexander Zakharchenko and LPR President Igor Plotnitsky will implement full independence not only from Ukraine, but also from Russia, if such a move is strategically possible. The survival of the Republics seems a last hope for world freedom.